Austin Millet has been writing since 2007, with much of his content relating to psychology, literature and music. His work has been published primarily on eHow. He earned a Bachelor of Liberal Arts and Sciences in English from the University of Illinois and is pursuing independent post-graduate studies. Tennis elbow, or lateral epicondylitis, is a common injury characterized by soreness and tenderness in the outer or top part of the elbow. According to the website Tennis Elbow Treatments, the condition is usually a repetitive stress injury resulting from overwork of the tendons in the joint to the point where they cannot repair themselves. The injury, as the name implies, is associated with tennis and other racket sports, though it can also result from sudden violent injury or other repetitive tasks. The condition is usually temporary and easy to wrap for healing and pain relief. Hold the loose end of the rolled Ace wrap to the part of your arm close to the elbow's joint. 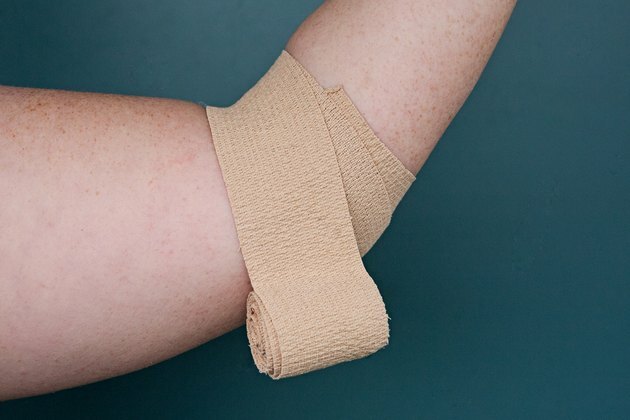 Wrap the bandage twice around the arm so that the bandage overlaps itself. This will keep the loose end secured against your arm when the wrap is finished. Roll the wrap a few times over the elbow and to the section of arm on the other side of the joint. Keep the pressure fairly firm in order to counteract the swelling that will result from the injury. Secure the end of the wrap with tape or metal clips if they were included with the Ace wrap. 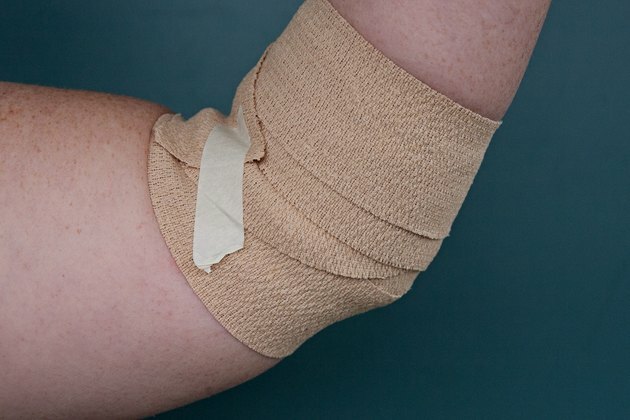 According to Drugs.com, you do not need to rewrap the elbow with several layers of Ace wrap. You can cut off any extra wrapping that's left over. Always see your physician before using self-treatment methods. 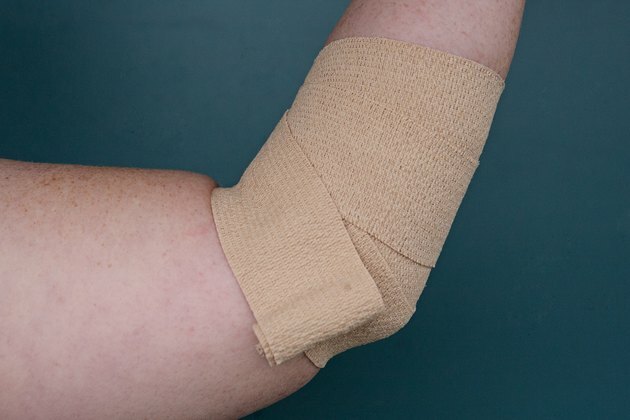 Do not wrap the bandage too tight so as to cut off blood flow. How Do You Wrap a Shoulder?